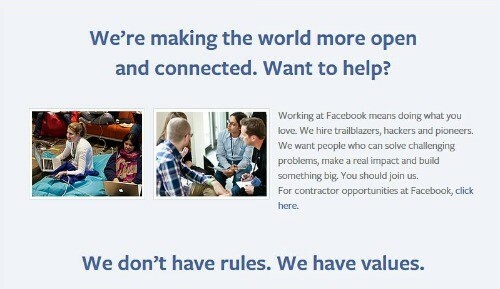 Does Facebook have brand values? If it does, what are they? What are the brand values of Facebook? The more branding work we do, the more important brand values seem to be. The bigger the brand, the more we expect to easily find the brand values, so we can embrace them or reject them. After all, brand values are part of what makes every brand ‘human’ and therefore easier to connect with. So when we wanted to read about Facebook brand values, we thought it would be easy to find them. Now, Facebook is not one of our most favourite brands. It could be because we watched ‘The Social Network’ and somehow can’t seem to get the origins of the business and the behaviour of the founders out of our minds. 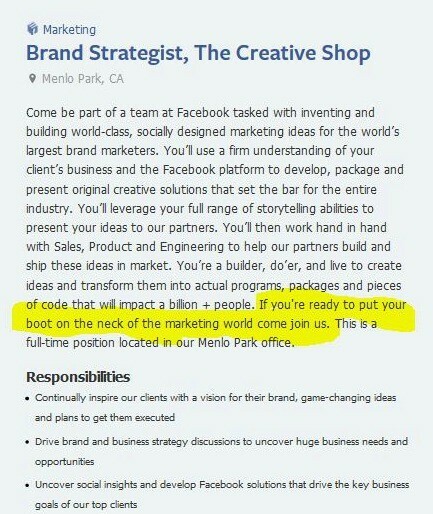 Why did we start looking for Facebook brand values? It started with a rant on Facebook, about Facebook. A friend was ranting about Facebook algorithm changes. She was saying it is hard for small businesses to get their posts noticed in newsfeeds. (Unless, of course, you pay to promote them). Where do you go to discover Facebook brand values? With Tesco and Sainsbury’s it was simple – their brand values are prominently featured on their corporate websites. Under ‘About us’ – where it makes sense to put them. It’s big and bold and single-minded. Does it tell us why they do what they do? Not really. Does it tell us how they do things differently? Not really. We did. We asked. We have not yet had a reply. (We are not really expecting one either). Then we had an idea! What about recruitment? Companies often tell potential recruits about their values. We found Facebook brand values! 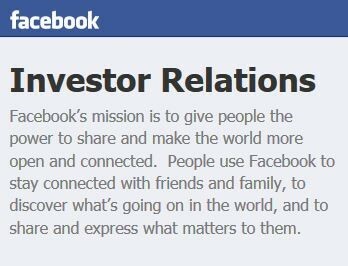 Facebook has five values – well-written and well-thought through. Now these five values really made us think about brand values! They are engaging, action-oriented and distinctive. These five values do provide a framework for behaviour and attitudes. Why do these values give us pause for thought? Because they forced us to ask the question – who are they written for? Is this the first time we’ve uncovered a set of brand values that do not wholeheartedly embrace all the stakeholders in the business? Usually, brand values create alignment for everyone within the business. They also appeal to target customers and stakeholders outside the business. With Facebook brand values we sense a misalignment. ‘We are the product of Facebook, packaged up and marketed to big business’. ‘They work differently on customer service. They focus on answering the questions that matter to them, not us. Which means they get on with doing what they want to succeed. In this context, debates over privacy settings, algorithm changes, lack of response to enquiries, format changes, low level grumbling, high level grumbling and discontent – are merely indicators that some users feel left out in the cold by Facebook brand values. This is important because brand values create the culture of the company and consequently inform its behaviour. 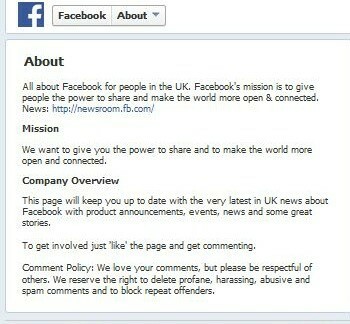 Yet Facebook is hugely successful. Mega money is being made. It is used by millions. Loved by many – and unloved by a few people too. ‘We just cared more about connecting the world than anyone else. And we still do today. This brief analysis of Facebook confirms that brand values really do matter. It confirms that successful brands of preference can be polarising, becoming brands of rejection for some. And that brands must keep changing to avoid stagnation. It also reveals that brand values are most powerful when they align fully with all the stakeholders of the business. PreviousPrevious post:Like it or not, your business already has a brand personalityNextNext post:What are your brand values?